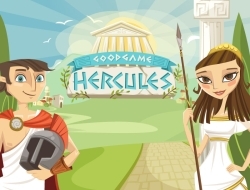 Join the ancient Greek worlds from the times Hercules was ruler of all. First off you have to create your own character by choosing an avatar, then choosing a class. There are three classes, spell caster, warrior and athlete. Each one has its own strengths and weaknesses so make sure it fits your play style. After you are in the online world, you should go visit the arena and start winning fights in a turn based fashion. Winning will increase your experience, allowing you to level up, and your money, allowing you to purchase better armor and unique potions. Level up as high as you can and challenge even the most skilled fighters. Goodgame Hercules 10.00 between 0 and 10 based on 1 votes.